My Uncle Peter was the family photographer long before I ever picked up a camera. He was my favorite uncle so I'll always miss him dearly. 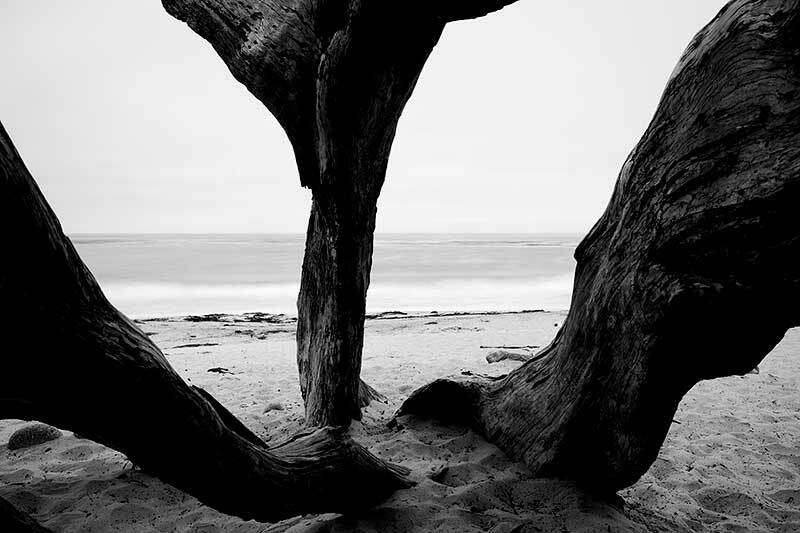 During his funeral I saw a picture of him and his dog at Carmel Beach near a similar-looking tree. When I visited Carmel Beach months later this scene reminded me of my uncle. For fine art photography prints on premium paper, I value the ability to extract as much detail as possible from my print files. The desire for detail led me to Canson Rag Photographique paper which is a high Dmax paper featuring a matte surface with minimalist smooth texture. Rag Photographique is truly one of the finest art papers in the world and the best way to see my work the way I had envisioned it. Estimated turnaround time for our museum-grade cotton rag prints is 2 weeks. Canvas Gallery Photo Wraps are an eye-catching way to display photography in homes and businesses. Stretched over wooden frames, canvas wraps “pop” from the walls on which they are mounted. There is no need to deal with cumbersome frames as my canvas wraps come ready to hang on the wall. These ready-to-hang prints are often more cost-effective than framing a traditional photo print. With a heavily-textured surface, canvas prints are not ideal for photos that feature a lot of small details as they can get “buried” within the texture of the canvas. Sweeping landscapes and travel imagery are suitable for canvas. Estimated turnaround time for our canvas gallery wraps is 2 to 3 weeks. The Lumachrome process is engineered to overcome and surpass the limitations of traditional continuous tone Lightjet processes and inkjet processes. Details appear to emerge in 3D from the depths of the image with the Lumachrome process thanks to the transparency layer that is infused with iridium particles and is preserved in a layer suspended between the white poly surface and non-glare TruView acrylic. Your ready-to-hang print includes a 1/8" acrylic facemount with a 6mm or 12mm Comatex backing and an HD 1.375" ROMA back mounted floating frame. Estimated turnaround time for our canvas gallery wraps is 4 to 6 weeks. Please call or email me to purchase this print. Fine art photography prints by Richard Wong. This online gallery features my photography from the past two decades. In addition to showcasing my fine art prints, fineartphotographyprints.com was created as an educational resource to answer common questions for prospective art collectors. I mainly specialize in landscape, nature and travel photography. My photography has been published worldwide and I have publishing credits in many different publications. My fine art photography prints have sold to private collectors, art consultants and business owners. Exclusive limited-edition prints and premium open-edition prints are available for purchase. Please reach out to me via phone or email if I can assist you with your art installation project.